Select the products you require and place them in your cart. When you are finished shopping you can follow the prompts to checkout and arrange payment. If you would prefer to place your order by mail or email please complete the ZEST Dementia & Aged Care “Order Form” and scan or post it to us. On the Order Form or in the accompanying email or letter, please indicate how you you would like to pay for your order. ZEST Dementia & Aged Care offers a variety of payment options (please see “Payment Methods” below). For this option, simply contact us via the phone on 1300 738 883 to place your order. We can accept credit card or you can pay via bank transfer. For organisations or healthcare groups we can also generate an invoice and send this to you. If paying by credit card, please have your details ready including your csv number. If our phones are busy, please leave a message stating that you would like to place an order and we will phone you back as soon as possible. At this point in time, ZEST Dementia & Aged Care does not issue a print catalogue, however we are reviewing our policy and ask that you please watch our website for future updates with regard to a print Catalogue. Alternatively, you may like to subscribe to our mailing list and we will notify you when a print catalogue is available. Are you looking for a product that ZEST Dementia & Aged Care does not stock? If so, please email us with your requirements and we will do our best to source the product for you. Although we do our best to ensure that our inventory is up to date, on occasion, a product you have ordered may be out of stock. If this occurs, we will notify you as soon as possible and you will be given the choice of a full refund or you can wait until the product is restocked. If you choose to wait for your product, your item will be shipped to you at our expense once the product is back in stock. Please ensure you put your order number as the reference on the payment so that we can identify your payment in our account. Please note that your items will be dispatched in accordance with our shipping policy once payment has cleared our account. Purchasers buying on behalf of organisations or groups can simply order online and then select the “Invoice” option at the checkout page. This option includes buying via “Purchase Orders”. Once the order is received, we will dispatch your goods and email you an invoice. Please include your “Purchase Order Number” or other details in the “Order Notes” box at the checkout. Payment is required within 30 days from the date the order is placed and is only available to approved organisations or healthcare groups. Please contact us if your organisation or healthcare group has other specific payment requirements. Please choose this option for orders over $1,500. Other payment options include Visa, Mastercard, American Express, Cheque/Money Order, PayPal and Direct Bank Transfer. Please make cheques payable to ZEST Dementia Care. Please ensure you print a copy of your invoice and forward it with your order. Alternatively, please print your order number clearly on the back of the cheque or money order. 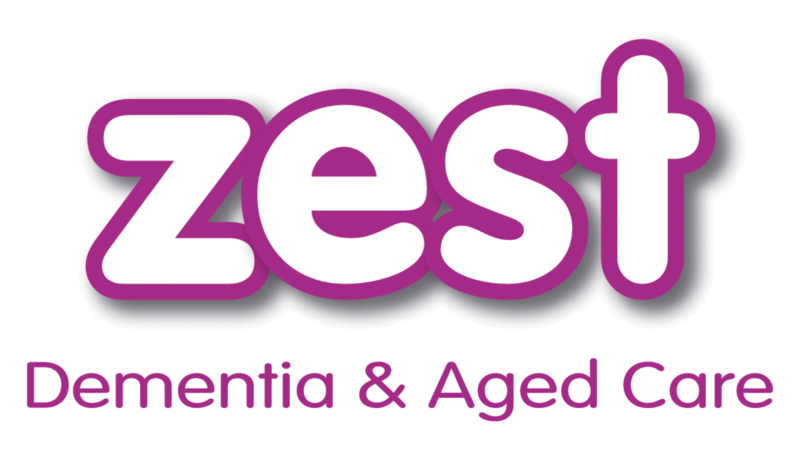 ZEST Dementia & Aged Care is registered for GST and our prices include GST.